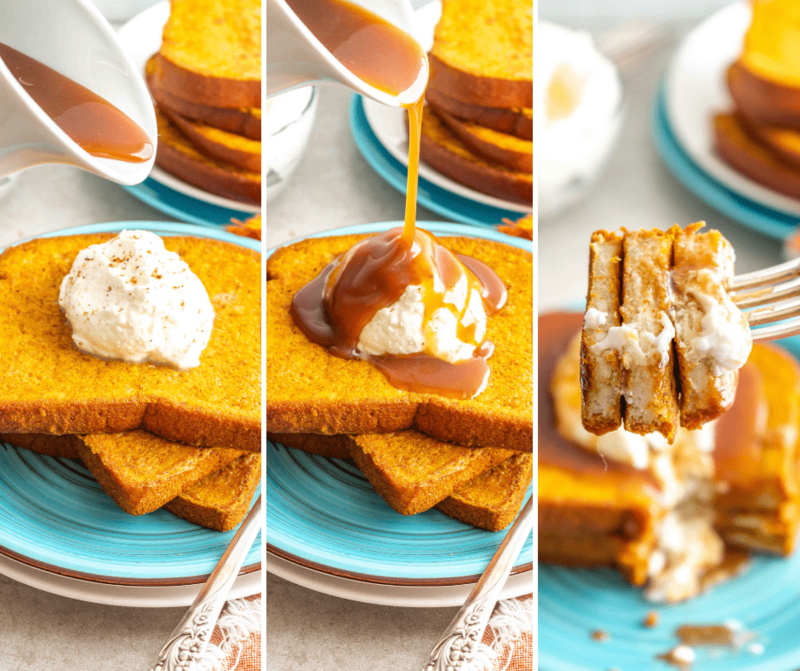 Pumpkin Pie French Toast is the perfect fall breakfast! 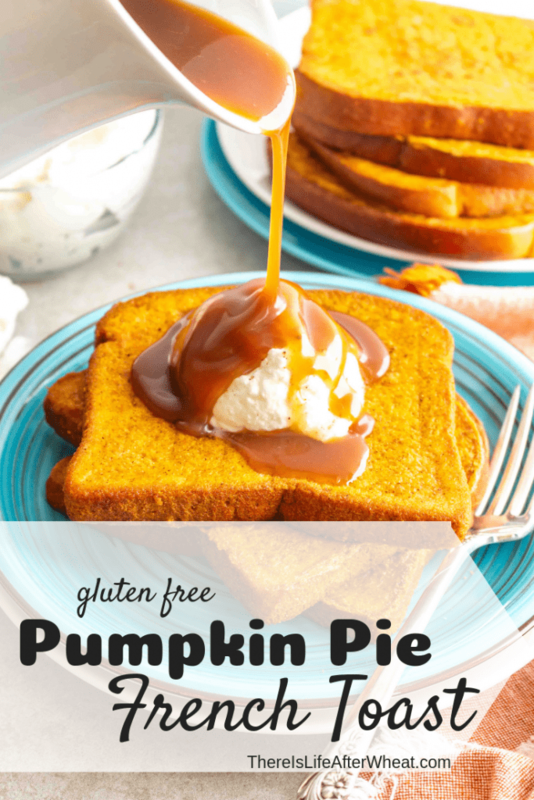 Packed with all the flavors of a delicious pumpkin pie and easily made gluten free and dairy free. This post contains affiliate links. If you purchase something through these links, I will receive a small commission without any extra cost to you. The mornings are cool and crisp, our jackets and sweaters are being pulled out of storage, and a few days ago we took our annual drive up the canyon to view the beautiful Fall colors. Fall is one of the most beloved seasons, probably due to the many tantalizing scents and flavors unique to this time of year. We love all the flavors of Fall, but pumpkin is probably our favorite! From pumpkin donuts to pumpkin ice cream, we’re loving all these seasonal recipes! 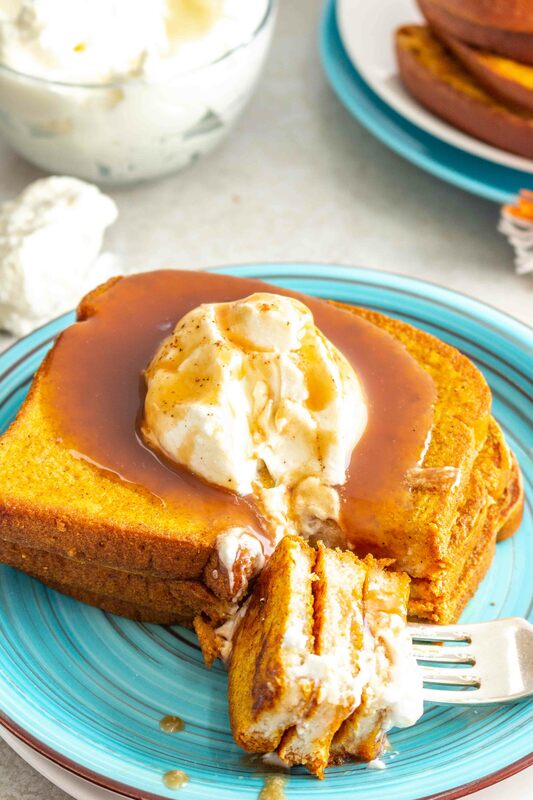 Pumpkin Pie French Toast has been a favorite of ours for several years. It is an easy recipe that is quick to make and quick to clean up. It has all the flavors of a delicious slice of pumpkin pie and is perfect topped with a dollop of whipped cream! 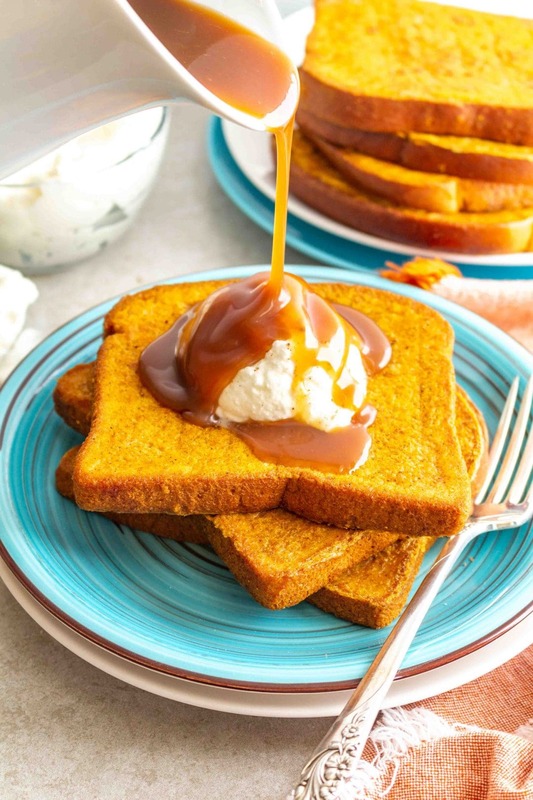 We love serving this buttermilk syrup recipe with pumpkin pie french toast instead of traditional maple syrup, although maple works just fine if that’s what you prefer to use. Buttermilk syrup has a caramel-like flavor, is easy to make and keeps for several weeks in the fridge. 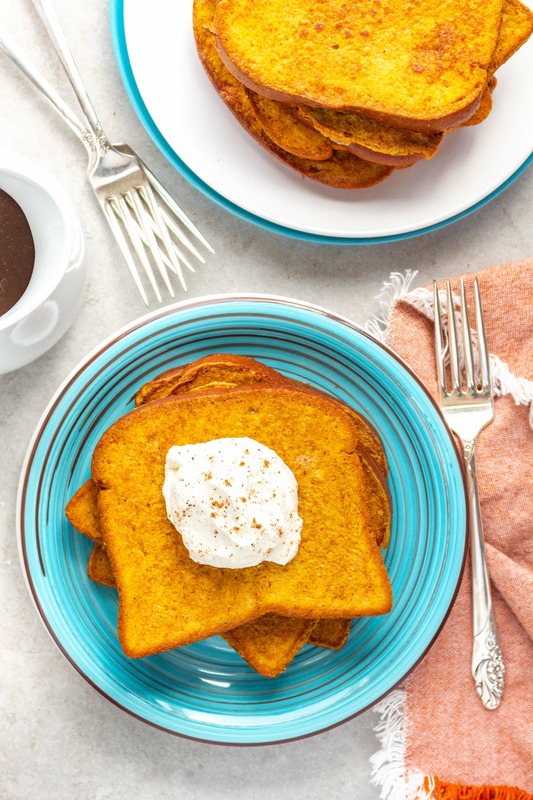 The great thing about this pumpkin pie french toast recipe is you can use just about any bread you want. For a list of our favorite gluten free breads, you can read this post. No one likes french toast that is crumbly or falls apart as you’re flipping it, so be sure your loaf of gluten free bread isn’t crumbly. 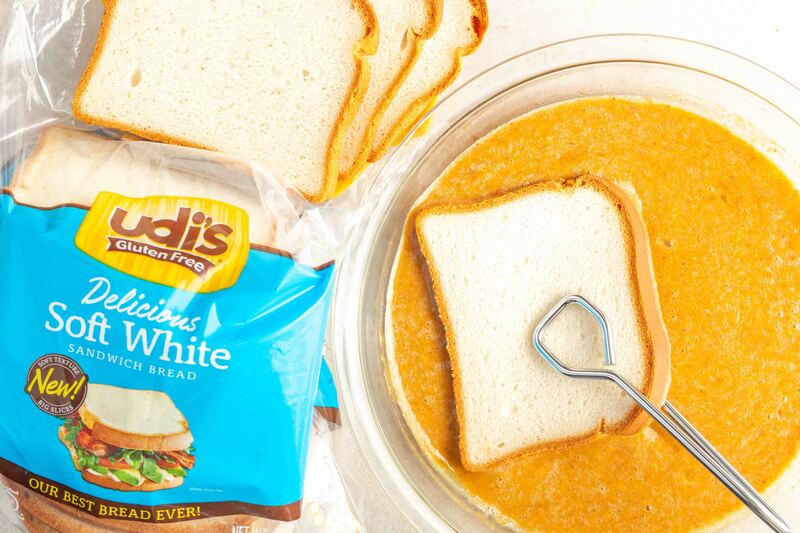 If using Udi’s, be sure to take it out of the freezer to thaw at least 24 hours before you will be making this recipe. MAKING THIS RECIPE??? Print the recipe below, make it, snap a photo, and tag @LifeAfterWheat on social media – we love seeing what you make! Preheat griddle to 275° F.
Whisk eggs in a large container or pie plate. Beat thoroughly so the eggs are very smooth. Add remaining ingredients except bread) and whisk until completely smooth. Butter your griddle and dip one slice of bread into the egg mixture, then flip so that both sides are completely coated. Place on the griddle and repeat with remaining slices of bread until the egg mixture is gone. Cook until the bottom is golden brown and batter is set, then flip and cook the other side until it is golden and set as well. Remove to a plate, top with whipped cream, maple or buttermilk syrup, and an extra sprinkle of cinnamon if you want. Dig in! I love making vegan french toast with pumpkin puree! Haha! Pumpkin love! I’m with you, Raia! Thanks! Sign me up! We love anything with pumpkin. 😀 This is a great breakfast, lunch or dinner winner! Pumpkin Pie Bread Pudding Audrey? Sounds AMAZING! Two of my most favorite things in the whole world: french toast and pumpkin pie. This is GENIUS! Yes, those and the buttermilk syrup…You’ll never go back, Leah! I’m so ready for #pumpkineverything , seriously, it is my favorite season. I’m also a huge fan of french toast, and then that buttermilk syrup, I think that just puts it over the edge. I want to pour that stuff on everything! Thank goodness for pumpkin season right? 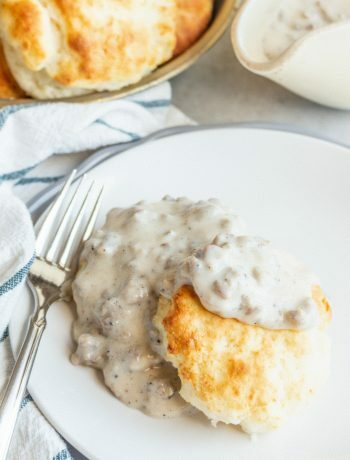 This looks too good to just be for breakfast…maybe dessert too? YUM! Pinning this for next weekend 🙂 I love french toast and fall flavors. 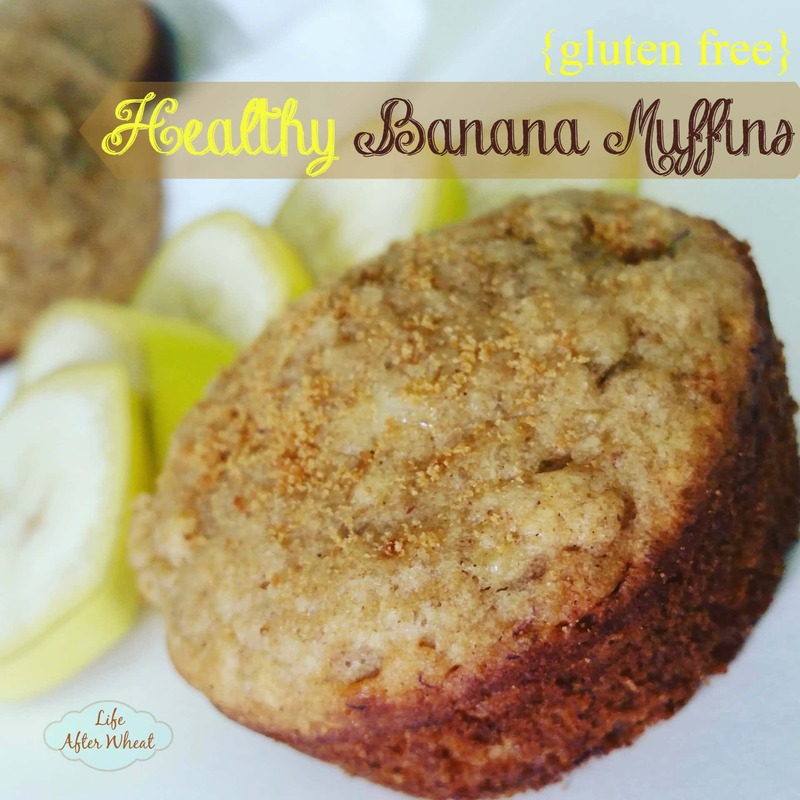 Love that this can easily be made dairy-free (and egg-free with an egg sub) Thanks!! 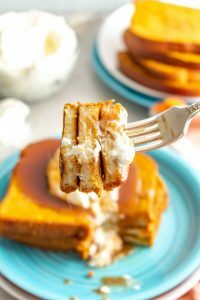 I don’t think I’ve ever seen pumpkin pie french toast – gluten free or not! This is brilliant and sounds just delicious.